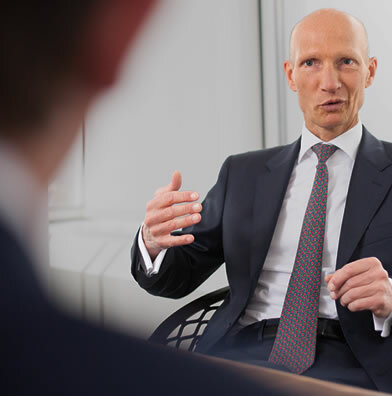 Since the interview with Wolfgang Stolz, CEO and founder of Prime Capital on the occasion of its 10th anniversary three years ago, Prime Capital has developed rapidly and increased its assets under management to currently over EUR 14.7 billion. Time for an update – this time with CEO Wolfgang Stolz, Vorstand Andreas Kalusche and Werner Humpert, Business Head Access Solutions. Mr. Stolz, since your last interview in 2016, Prime Capital has succeeded in increasing its assets under management by over 165% percent from EUR 5.6 billion to a total of EUR 14.7 billion. What are the reasons for this success story? Wolfgang Stolz: At Prime Capital, we had a clear strategy right from the start that convinced our clients. We wanted to make alternative investments accessible to German and European investors, playing a role in both manager selection and asset management. In addition, we wanted to offer investors the appropriate access solution. We built all this up in an institutionalized set-up. The fact that this was implemented so successfully and was expanded to include several innovative business areas is the success of outstanding teams. The special dynamics of this development, also favored by the interest rate and capital markets, was of course not foreseeable from the beginning, but we are all the more pleased about it. Andreas Kalusche: The teams were always open to new ideas and products. Experienced and young colleagues have always supported each other in the development of the new business areas and – in spite of all the relaxed working atmosphere – have worked very hard. This is the only way we have managed to establish the company so quickly and successfully in the market for alternative investments. How has Prime Capital as a company changed as a result? Wolfgang Stolz: Massive. Right from the start, it was our plan to put Prime Capital’s development and growth on a solid and broad basis. This is only possible if you diversify intelligently. Not only in terms of the breadth of our offering, but also, of course, in terms of personnel. Werner Humpert: Today, we have several large teams with many different competencies for alternative investments. These investments are in great demand in view of the persistently low interest rates and are now the “new normal” so to speak. Our expertise, our experience and our ability to develop investment solutions for special and complex requirements are highly valued by our clients. Has Prime Capital’s positioning in the market changed? Andreas Kalusche: Yes, of course. 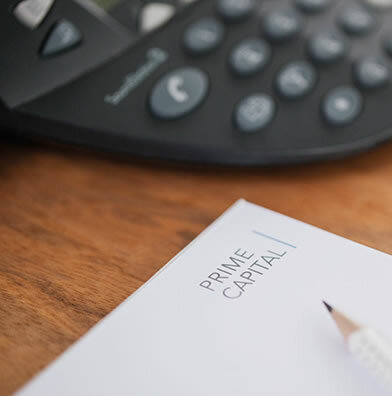 Prime Capital is no longer perceived only as a hedge fund specialist, but as a broad-based asset manager and financial services provider with the five business units Absolute Return, Private Debt, Infrastructure, Outsourced Asset Management and Access Solutions. However, not every customer of our business units is yet familiar with all our different capabilities. In addition, we have invested heavily in broadening our client base, both in Germany and Switzerland and in our core European markets, and selectively in overseas markets as well. We are working on further increasing our diversification. What are the challenges posed by rapid growth? How do you deal with them? Werner Humpert: The growth from a boutique with one capability to an asset manager with five different business areas naturally presented a number of challenges. The strong growth is based, on the one hand, on the strong focus of the respective employees on their areas. On the other hand, growth was only possible through the close cooperation of all the company’s resources. We are now coordinating these two perspectives i.a. in a new Business Head Committee, in which all five business units are represented, as well as the Executive Board. This is in line with the “One Firm” concept which has made Prime Capital strong and which helps us to benefit from the experience of all our colleagues. Andreas Kalusche: We have also restructured and successively improved our internal communications. It is important to us that all employees are informed quickly and comprehensively across all divisions. With more than 85 employees at several locations, we have reached a size where it is no longer possible to exchange information in the corridor while passing by. We have now installed regular meetings and information tools. “One Firm” also means that everyone quickly reaches the same level of knowledge in order to use information effectively. Employee is a good keyword: Has the original corporate philosophy changed with growth? Wolfgang Stolz: I still see Prime Capital as a dynamic entrepreneurial success project. But entrepreneurship has never been limited to just one or a few people. Our success is based on the entrepreneurial and thus also economic behavior of a large number of our employees. Numerous colleagues have made effective use of the freedom that Prime Capital offers its employees and implemented their projects with great success. This has led to the creation of new and successful business units. The foundation for this success will continue to lie in the “One Firm” philosophy: Cooperation and synergies within Prime Capital. This growth would not have been possible without the overarching experience of our colleagues in Operations, Risk, IT, Finance and Legal, and without the knowledge transfer between the business units. Andreas Kalusche: The growth and the opportunity to participate entrepreneurially here is extremely attractive for many specialists and high potentials. It is important to us to show our employees development opportunities and thus to raise their potential. The attractiveness of Prime Capital is also reflected in the current applicants and new hires: We are clearly in competition with the big names in the financial sector. In the meantime, however, our success story has spread so far that we have no difficulty in recruiting highly qualified employees. Is this already a step in the direction of “A company for the next generation” of which Wolfgang Stolz spoke in 2016? Wolfgang Stolz: Absolutely. This is also reflected in the fact that we have expanded the management team both with Dr. Manfred Beinhauer – an experienced COO / CRO, whom we were able to gain – and with younger managers from our own company. In addition, the Business Unit Heads are becoming more and more involved in decisions. These are important steps for the generation change, which we will continue to pursue. And clear signals to our teams that Prime Capital offers career opportunities. Another topic we are working on is the long-term retention of our core employees. Werner Humpert: The establishment of the Business Head Committee was an important step towards anchoring responsibility and competencies more broadly in the company. We had to adapt our previous successful positioning to our rapid development. In this respect, the new structure was overdue. Where Prime Capital will continue to develop in the future? Andreas Kalusche: We have made Prime Capital a broad-based asset manager and financial services provider. With German roots, but now also with a considerable international reach. And most importantly, we have shared experience in creating this growth and successfully establishing new products and business areas. We will continue to use this experience to further develop our platform. With our current five business units, we feel broad enough and diversified – we want to focus on their further development first. This also makes us very optimistic for the future. 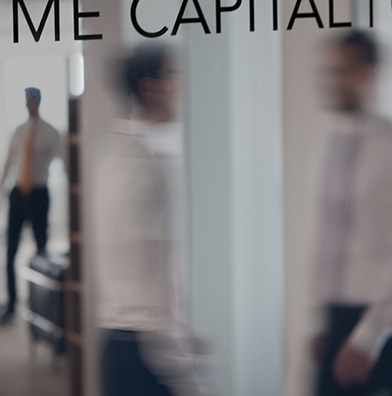 Every member of the Prime Capital management team has previously worked at other leading firms in the financial industry.